The following people are STP Members that have been deceased for the past 36 months. On July 30th, 2018, Dr. Gordon P. Flake passed away at home. He is survived by his wife of 45 years, Cristina; five children, Stuart, Margo, Mandy, Heather and Derek; 10 grandchildren, Atlas, Ann Marie, Betsy, Nina, Elie, Haven, Maya, Tyler, Sophia and Logan; his brothers, Dickson Flake (Linda) and John Flake (Karen), and nieces, Lesley, Jessica and Rebecca. Dr. Flake was born on Dec. 17, 1940, grew up in Little Rock and attended Little Rock Central High School. He continued his education at Johns Hopkins Undergraduate School where he was elected to Phi Beta Kappa, and Vanderbilt Medical School where he graduated first in his class. His pathology residency included three years at Vanderbilt, two years at the University of Minnesota, and one year at MD Anderson Center in Houston. He practiced pathology for two years in Panama while in the Army Medical Corps during the Vietnam War. There he met the love of his life, Cristina Quiros, and married in May 1973. He practiced for two years in Huntsville, AL, and 20 years in New Orleans, La., before moving to Chapel Hill in 1996, where he worked for 20 years at the National Institute of Environmental Health Sciences (NIEHS). He loved his job at NIEHS in the department of Cellular and Molecular Pathology. He enjoyed talking to his colleagues, learning each day, and contributing to their studies. He loved all of the people in his department; and in his mind, they were part of his family. Other than his family, his work was his life. He considered everybody in the Institute a friend, including security guards, cafeteria staff, and housekeeping, and he appreciated their friendship. He felt blessed to work at such an interesting place with so many smart, dedicated people. In the words of his co-workers at NIEHS: "We considered Gordon to be a best friend and colleague to everyone, no matter your position or status at the Institute. He was well-respected for his intellect, detailed approach to his work, and his sound contributions to science and public health, in particular his seminal research on the pathogenesis of uterine fibroids, and his numerous co-authorships on government reports, manuscripts, and book chapters. He was admired for his devotion to Cristina, Derek, and his family. We will always remember his love for baseball trivia, the Kentucky Derby and of course, UNC basketball despite not ever watching an entire game on TV. We at NIEHS will always remember Gordon as a gentleman, humble and kind; we all considered him our true friend and we would be honored if he felt the same way about us. Gordon will be truly missed at NIEHS." The kind of research conducted by Dr. Flake, which led to his recognition as a world expert, is noted in the article, "Etiology and pathogenesis of uterine leiomyomas: a review," which up to this date has been cited 567 times. In later research on this subject he coined the word "inanosis," which is now included in medical lexicon. There will be a private graveside funeral for the family in Chapel Hill on Monday, August 6th. A Celebration of Life Memorial for friends and family will be held on Saturday, August 11 from 4-7 p.m. at Extraordinary Ventures in Chapel Hill. If anyone wishes to contribute to a charity in honor of Dr. Flake, charities of his choosing include the Special Olympics of North Carolina, Extraordinary Ventures of Chapel Hill, and The Arc of the Triangle. The Flake family is being assisted by Walker's Funeral Home of Chapel Hill. Dr. Daniel Morton, 59, died on September 30, 2015, in Columbus, OH, following a long battle with cancer. He was a preeminent toxicologic and veterinary pathologist and laboratory animal veterinarian with a distinguished career marked by significant scientific contributions, a lasting global influence on drug safety assessment and, especially, a lifelong service to the American College of Veterinary Pathologists (ACVP), the American College of Laboratory Animal Medicine (ACLAM), and the Society of Toxicologic Pathologists (STP). He graduated from Montana State University in 1978, with a degree in agriculture production. He received his DVM from Colorado State University in 1983, his MS degree in veterinary pathology from The Ohio State University in 1985 and his PhD in veterinary medical science from the University of Illinois in 1990. He was a diplomate of both ACLAM and ACVP. Following completion of his PhD program, he served as a clinical assistant professor and assistant director, Office of Laboratory Animal Care, University of Illinois from 1989 to 1993. He then moved to the Chicago area where he first served as a senior research scientist at Baxter Healthcare Corporation from 1993 to 1994 and then as a veterinary pathologist at Abbot Laboratories from 1994 to 1998. In 1998, he joined G. D. Searle in Skokie, IL, which in 2000 merged with Pharmacia and Upjohn to become Pharmacia Corporation. During his time at Searle and Pharmacia, he advanced from an assistant director to director and pathology site head. In 2003, Morton joined Pfizer following its acquisition of Pharmacia, moving to the Pfizer site in Groton Connecticut and subsequently to the Cambridge (afterward Andover) sites in Massachusetts. He served as an associate research fellow and a research fellow at Pfizer. Morton was a pioneer and thought leader in toxicologic and comparative pathology and drug safety risk assessment. Of particular significance was his contributions to carcinogenicity assessment. He led a sustained international effort over 2 decades, promoting the development of alternatives to the 2-year rodent carcinogenicity bioassay. His work ultimately altered scientific and regulatory thinking regarding these bioassays, with resultant reduction in the cost of drug development, more accurate carcinogenicity bioassays, and the reduction in animals used for carcinogenicity assessment of drug candidates. Morton also served the veterinary pathology and laboratory animal medicine communities in his career. He served in key leadership roles in the ACVP, including examination committee member and chair, chair of the role delineation task force, and as a member of the strategic planning committee. He served on the ACVP Certification Examination Board since its inception in 2011 through 2014 and served as a member of the Certifying Examination Redesign Committee from 2014 until his death. Concurrently, Dan served in a number of senior leadership positions in the STP, serving first as the secretary/treasurer and then as president. He also served many roles for the ACLAM, including stints on the examination committee, with service as chair, and on the training program recognition committee. Dr. Morton received a number of awards and recognitions during his career. In 2008, he received the Presidential Award from the ACVP for his leadership and vision in designing and completing the College’s first role delineation study. In 2013, he received the Pfizer Worldwide Research and Development Achievement Award for his body of work related to nonclinical carcinogenicity assessment. In 2014, he received STP’s Lifetime Achievement Award for his many contributions both to the organization and to the advancement of toxicologic pathology. In 2015, he was selected as a distinguished member of the ACVP. The last two awards are the highest awards given by these two professional organizations. Dan’s most lasting contributions to his profession lie in his vision, his relentless pursuit of what he believed to be right, his challenge of the status quo, and his mentorship of those who worked with him. Dan was the epitome of the quiet leader: he led not through the force of his ego but by his thoughts and actions. He elevated the people around him, gave credit for successes rather than taking it, and accepted personal responsibility instead of directing blame at others. His effective leadership was influenced by his intelligence, kindness, integrity, and ability to generate consensus. Dan helped to guide a generation of toxicologic pathologists and the void that his death has left will be felt by many. Survivors include his wife of 31 years, Laura Dill Morton, and two sons John Parker Morton and Mathew George Morton. Dan is also survived by his father, George Morton, his brother Ken (Diane) Morton, and his sister Lynne (Tom) Champitto. He was predeceased by his mother Betty Morton. He is also survived by his father- and motherin-law Garrett (Sidney) Dill; brothers-in-law Brian (Marcie) Dill and Matt (Shannon) Dill; nieces Jenn (Miles) Hubbs and Caitlin Dill; and nephews Scott Morton, Michael Dill, Aaron Dill, and Tyler Dill. Bobby passed with peace and grace on March 8, 2015 at his home with his wife. Bobby was born December 23, 1931 in Kilbourne, Louisiana. He graduated from Texas A&M University in veterinary medicine in 1956 and in 1960 he earned his masters in veterinary pathology. In 1965, he completed his PhD from University of Minnesota in veterinary pathology with a minor in physical chemistry. He spent two years in Bangladesh teaching pathology for the Armed Forces Institute of Pathology. He started his career as an assistant professor at MIT, and then successfully moved into industry as a preclinical toxicologic pathologist in drug development at Smith Kline French before moving into managing, consulting, and owning his own research laboratory. He retired in 2010 after a brief period as a visiting professor in Kuala Lumpur, Malaysia. Bobby enjoyed riding his horses and outdoor projects—clearing land, cutting trees and experimental landscaping. He was married to CJ Reynolds in Bethesda, Maryland on April 1, 1999. He is survived by his wife, brother, sister-in-law, and two children. The family requests that any donations be made to the college scholarship fund of your choice. Asa Harris Mosher, 78, of Salford Township, Pennsylvania passed away at his residence on Wednesday, August 27, 2014, surrounded by his loving family. Born in Cranford, New Jersey, he was the son of the late Byron J. and Dorothy Ruth (Harris) Mosher. He was employed as a veterinary pathologist for Johnson & Johnson Pharmaceuticals for 27 years prior to his retirement in 1998. Following high school, he graduated from the University of Delaware in 1958, the University of Pennsylvania School of Veterinary Medicine in 1962, and earned his PhD in 1968 from the University of Connecticut. Dr. Mosher was a member of the Presbyterian Church of Deep Run. He was also a member of the American Academy of Veterinary Pathologists, the Farm Preservation Board of Montgomery County, the North American Limousin Foundation, and the Salford Township Zoning Hearing Board. He enjoyed being outside and spending time with his cows, and was known for having one of the largest full-blood Limousin herds in the country. One of his greatest enjoyments was spending time with his grandchildren and attending their sporting events. He himself was the last person to letter in three sports at the University of Delaware. In addition to his wife Marjorie (Staub) Mosher, he is survived by a daughter and two sons, their spouses and eight grandchildren. John M. Pletcher, DVM, MPH, DACVP, passed away on September 16 after a brave battle with pancreatic cancer. John made significant contributions to many aspects of veterinary pathology during two separate, distinct careers. He earned a Bachelor of Science degree in 1967 followed by a Doctor of Veterinary Medicine degree in 1969. Upon graduation, John began his active duty career in the US Air Force Veterinary Service, a career that would ultimately have profound effects on the field of veterinary pathology. After a year as Base Veterinarian at Lakeland Air Force Base, he was assigned to a post at the University of Michigan, Ann Arbor, where he received his Master of Public Health degree in 1971. He later completed a residency in veterinary pathology at the Armed Forces Institute of Pathology (AFIP) and was certified by the American College of Veterinary Preventive Medicine in 1977, and certified in anatomic pathology by the American College of Veterinary Pathology (ACVP) in 1979. Working as a staff pathologist at the Onderstepoort Veterinary Research Institute and as a research pathologist at Kruger National Wildlife Park, Republic of South Africa from 1979 to 1982, John authored or co-authored many scientific papers and commentaries on infectious and parasitic diseases in South African wildlife. As Chairman of the AFIP Department of Veterinary Pathology from 1986 to 1992, John’s duties included the management of veterinary pathology consults from around the world, research in numerous aspects of veterinary pathology, and the training of veterinary pathologists for the US Army and US Air Force. Also during that time, John directed the pathology support of the US Fisheries and Wildlife Service during their evaluation of the Exxon Valdez oil spill from 1989 to 1990, and organized research aimed at evaluating the effects of oil fire smoke on animals following the Kuwaiti oil fires in 1991. While John authored or co-authored numerous journal articles on a wide spectrum of veterinary pathology during his term as Chairman at the AFIP, his professional attention focused on strengthening the AFIP veterinary pathology program and mentoring trainees. Graduates of AFIP’s residency program have made a significant impact in all aspects of veterinary pathology in the US military services and other government agencies, academia, and industry. John retired as a Colonel from the United States Army Veterinary Corps (having transferred from the Air Force) in 1992 and entered his second career with Pathology Associates, Inc. (PAI) after a distinguished 23-year career in the military. 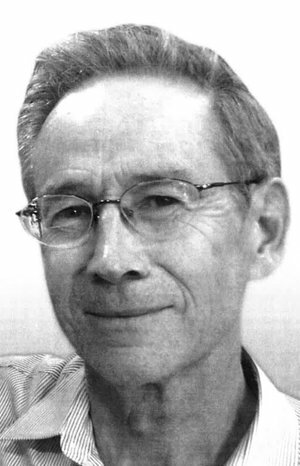 During his 21 years with PAI (now Charles River Laboratories-Pathology Associates), John’s publications and contributions to toxicologic pathology were as equally impressive as his contributions to research, education, and military service. In addition to providing pathology services to the pharmaceutical industry, the US Food and Drug Administration, the US Environmental Protection Agency, the National Institute of Environmental Health Sciences, and numerous other PAI clients, John supervised a large group of veterinary pathologists and staff. In this regard, John was a cornerstone of science, morale, mentoring and professionalism. At the time of John’s passing he was a Senior Scientific Director with Charles River Laboratories. John was a long-time member of the Society of Toxicologic Pathology and served as a member of the Standardization of Nomenclature and Diagnostic Criteria Program (1989–1992). He was also a member of the American College of Veterinary Pathologists (ACVP), where he served as a member of the examination committee (1984–1988) and a Councilor (1992–1995). Dr. Pletcher is survived by Suzanne Pletcher, his wife of 43 years, two adult children, and three grandchildren. Professor Yoichi Konishi, an STP member and a distinguished pathologist who contributed to the field of cancer research for several decades, passed away on December 21. He consistently worked on basic research to elucidate mechanisms by which cancers develop and on ways to prevent this deadly disease. He published numerous papers in major scientific journals and was particularly well known as an expert on pancreatic carcinogenesis. He was awarded the Princess Takamatsu Cancer Research Fund Prize in 2000. Professor Konishi also contributed to the activities of a variety of scientific societies and frequently organized scientific meetings, both international and domestic. Among those, it is noteworthy that he was the president of the IFSTP and organized its international meeting. He was also instrumental in establishing the IATP and served as a regional director for the Asia/Pacific Region. Dr. John F. Van Vleet, a long time STP member and Professor Emeritus at Purdue University, died January 5. Dr. Van Vleet received his DVM degree from Cornell University in 1962, an MS in Veterinary Pathology from the University of Illinois in 1965, and his PhD in Veterinary Pathology from the University of Illinois in 1967. He also received his board certification from the American College of Veterinary Pathologists in 1967. That same year, Dr. Van Vleet came to Purdue University as a Professor of Veterinary Pathology and in 1988, he was appointed the Associate Dean for Academic Affairs in the School of Veterinary Medicine, retiring in 2010. During his entire tenure at Purdue, he was in the classroom, educating and mentoring students. Since 2001, he had served as a visiting professor at St. George’s University in Grenada, West Indies. Dr. Van Vleet received numerous honors and awards including the Norden Award of Outstanding Instructor in the School of Veterinary Medicine and he was chosen to be included in the Book of Great Teachers at Purdue University for excellence in the classroom. Dr. Van Vleet was internationally recognized for his many contributions to toxicologic pathology and specifically to cardiovascular disease with over 140 publications in his areas of expertise. He contributed chapters to all major veterinary pathology and toxicologic pathology textbooks, including the "Handbook of Toxicologic Pathology", and served as a consultant for pharmaceutical, biotechnology, and medical device companies. 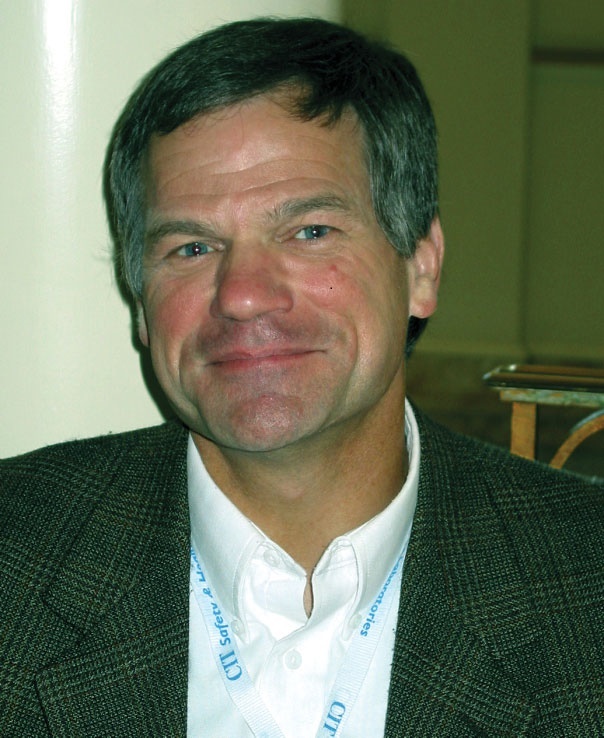 Dr. Van Vleet was published in various pathology journals and textbooks. He is survived by his wife Nancy. Dr. Ronna Fulton, age 51, died peacefully at home in Birmingham, Alabama on Wednesday, February 22, 2012, after a 6+ year battle with metastatic breast cancer. Ronna was born on July 14, 1960, in Ft. Collins, Colorado to Betty Folsom and Hugh Thompson Fulton. She attended Cape Girardeau, Missouri Central High School (Class of 1978). She completed her Bachelor of Science in Agriculture and Biochemistry from the University of Missouri in 1982. She then went on to get her Doctorate of Veterinary Medicine from University of Missouri in 1985. She was awarded her PhD in Veterinary Pathology in 1991 from Colorado State University, and became a Diplomate (Clinical Veterinary Pathology) of the American College of Veterinary Pathologists in 1993. She worked as Veterinarian for the Terra Veterinary Clinic in Lebanon, Missouri between 1985 an 1986. She was a Clinical Pathology Resident at the University of Florida, Gainesville, Florida, between 1986 and 1987 and at Colorado State University between 1987 and 1991. After obtaining her PhD, she taught Clinical Pathology at Colorado State University, and went on to two postdoctoral positions. The first was a Pulmonary Postdoctoral Research Fellowship at the National Jewish Medical and Research Center in Denver, Colorado, and the second was a Veterinary Clinical Pathology Consultant at Colorado Animal Research Enterprises, Fort Collins, Colorado. In 1996, she accepted a position as the Manager of Clinical Pathology at Southern Research Institute in Birmingham, Alabama. She went on to become Staff Senior Clinical Pathologist in 2002. In 2007, Ronna formed her own company, Fulton Veterinary Clinical Pathology Consulting, LLC. Ronna loved to read and to travel. She loved the outdoors, whether that was the beach, the mountains, a sunrise or sunset. She loved Native American history, art and architecture. She was a smart, practical, loving wife, mother and friend. Her courage and sheer determination to live as long as possible will never be forgotten. She will be greatly missed by all who knew and loved her. Ronna is survived by her husband, James Nietfeld; her children, Wesley (b. 1994) and Collin (b. 1997); her mother, Betty Folsom Fulton and her sister, Anne Fulton McIntyre. Her memorial service was held at Asbury United Methodist Church in Birmingham, Alabama on Monday February 27, 2012, at 7:30 pm In lieu of flowers, Ronna asked that donations be made to St. Vincent’s—Bruno Cancer Center in Birmingham, Alabama. William (Bill) M. Busey, DVM, PhD, a longtime STP Member and co-founder of EPL, Inc., died on August 6, 2011, in Vienna, Virginia. Dr. Busey was instrumental in designing and developing pathology peer review procedures and approaches, which are used by the NTP and many companies worldwide. He co-founded EPL Pathology Archives, Inc. in 1978, nearly a year before the preservation of research materials was mandated by law by the U.S. FDA. Dr. Busey is survived by his wife Betty; two children, and six grandchildren. Memorial services were held Saturday, August 13 at Immanuel Presbyterian Church, McLean, Virginia. In lieu of flowers, contributions can be made to The Ohio State University-College of Veterinary Medicine, 1900 Coffey Rd., Columbus, Ohio 43210 or the Grear Memorial Garden at Immanuel Presbyterian Church, 1125 Savile Lane, McLean, Virginia 22101.